Deciding to file for divorce is always a difficult decision. Our team has vast experience in preparing divorce documents. It is our honor to be able to serve the LBGTQ community in the State of Florida. If both parties are in agreement then a no-court divorce is a no brainer. There are a few requirements needed in order to have the painful divorce process a little bit less painful. If there are minor children involved in the marriage either because of adoption, surrogacy, or any other method used, we can get the correct divorce documents prepared including the parenting plan and child support guidelines. If there are assets and liabilities to split and the relationship is not too damaged we can help you mediate the divorce in a dignified manner. If you do not know where your partner is then the process is a bit different, takes more time and does require a final hearing. This type of divorce is also called a divorce by publication. If you are in non-speaking terms, communications are toxic and there is lots of drama then a divorce by summons will be the healthiest way to handle the divorce. Did you know that you can have a no court divorce in the State of Florida? Cheaper than hiring an attorney, you can get the divorce decree in the mail within 45 days from the day the divorce is filed! 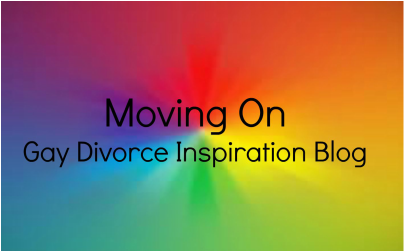 Get inspired by gay divorce stories by our clients and others going through similar situations as yours. Submit your story and get published! There is no difference between a Florida regular divorce and a Florida gay divorce. The Florida divorce process is the same, the forms used by self represented litigants are the same for both straight or Florida gay divorce as they were recently changed by the State of Florida supreme court. A no court divorce is also known as an express divorce. It's recommended when both of you are in amicable terms. 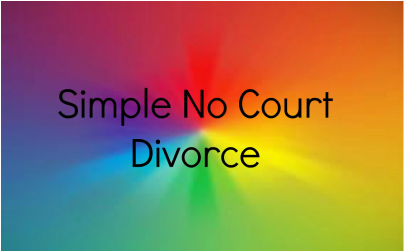 There are three types of no court divorces: simple divorce (no property or bills to split), divorce with assets (property, bills, assets, investments, etc. need to be split), and a divorce with children (being born by surrogate, adopted, etc). If there are assets, bills etc to be split or there were children in the marriage but both of you cannot come into an agreement on how these things will be divided then a mediator may be able to help...AS LONG AS BOTH OF YOU ARE CALM ENOUGH TO ALLOW SOMEONE TO HELP. A mediator cannot make the decisions for you both but can help you reach an agreement by keeping things calm and methodologically guiding the conversations so that an agreement is reached. The goal of a Florida divorce mediator is to have both parties walk away feeling confident and ready to move on. Unfortunately, sometimes the spouse just disappears into thin air. Either he/she left the country or moved away without leaving a trace. In these cases a gay missing spouse divorce (also known as a gay divorce by publication) is the way to go. A Florida gay missing spouse divorce is complex as it has 3 distinct parts: 1 - prepare the documents and try to find him/her 2 - after the filing the divorce publish an article 3 - request and attend a hearing AFTER the publication has run for 30 days and the proof has been obtained. A Florida gay divorce by publication can take approximately 2 -4 months. A gay Florida divorce by summons is necessary when the relationship is beyond "not healthy", it's honestly toxic. Filing for a gay Florida divorce by summons is as follows: 1 - Prepare and file the divorce documents 2 - Hire a process server or sheriff, get him/her the divorce papers served, 3 - Request a hearing after 20 calendar days. If you or anyone you know is going through domestic violence please contact the local authorities and get help before looking to file for divorce. A divorce under domestic violence circumstances (verbal or physical) need to be filed as divorce by summons process. See above for more information on a divorce by summons.